Cab Guru, a UK based cab comparison and booking app start-up has raised over £2 million in funding to launch. 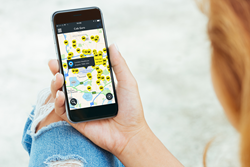 More than 300 major cab companies in the UK have joined forces to produce a national booking app. The collaboration is unique and the first of its kind in the industry with the aims being: to help the UK’s private hire and taxi firms compete with Uber and to provide the customer with an app where they can compare cabs based on price, availability or service in real-time and book a cab anywhere in the UK. The app allows customers to compare fixed prices and book a cab with a licensed Private Hire or Taxi company. Where there is currently no Cab Guru partner coverage, customers will be shown a list of local cab companies to call and make their booking directly with them. Cab Guru will use the investment towards further development and marketing, generating growth across the whole of the UK.